At Esports BAR in Miami, many of those I spoke to who had recently launched esports initiatives were more than willing to acknowledge that everything was a bit experimental. But for all those who confidently said they had room to stumble a bit in a very new industry, many had found very clear success with few major roadblocks. 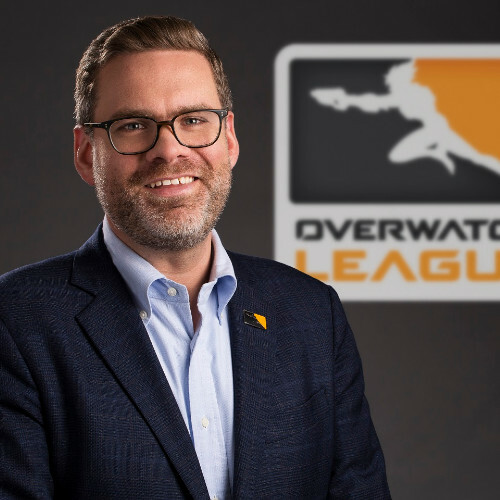 Overwatch League commissioner Nate Nanzer was one of them. GamesIndustry.biz spoke to Nanzer at Esports BAR shortly after his keynote address, and just a few weeks before the League announces its schedule for the upcoming year. In his address, Nanzer had an optimistic story to tell. The League has just come off its inaugural season, and saw enough success that it expanded its second season to include eight more teams. "We didn't know what we didn't know before we launched the season," Nanzer said. "When you're designing something from scratch, at some point you have to say, 'This is the thing we're going to do based on all the available information we have.' But I think what we've done that I'm proud of, and you'll see more when we release the schedule for next year, is we don't have any sacred cows. If we have something we think is wrong, we can change it. We did it a little bit last year with the way we changed the stage finals format throughout the year, and I think that's something that will continue to evolve overall. How we do scheduling, the cadence of matches, how many matches we have...everything's on the table. That's very freeing, and it's a good position to be in. "Going into the inaugural season, we were selling an idea. This year, we're selling a real product that had some success"
"But we're doing it super collaboratively. We spend a lot of time talking to teams and partners, to Twitch and now ESPN and Disney XD, to make sure that our schedule works for them. We'll follow up in a couple of weeks when we have a schedule ready to announce. There will be a couple changes, but I think it will be very positive for the players and the fans." 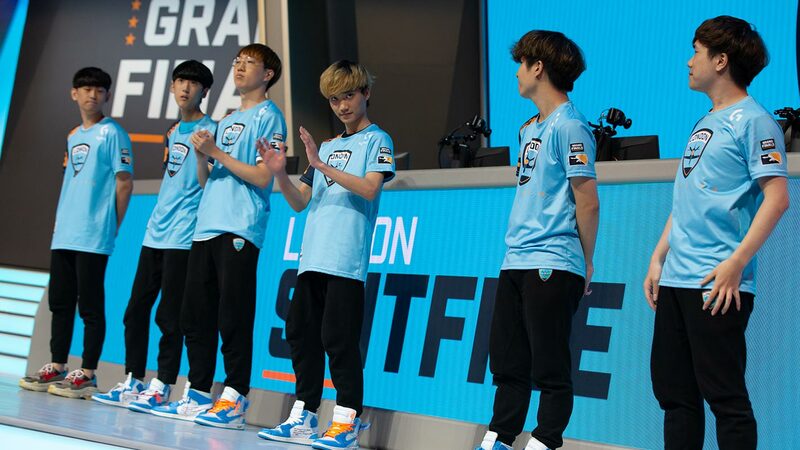 Overwatch League's city-based model in its first year was based off of traditional sports franchising, which was a relatively new idea in esports with the potential to be a tough sell. Though Blizzard officially referred to reports of Overwatch League franchise spots costing $20m in its initial year as "unverified and wildly ranging rumors," this year, it's doing nothing to debunk the story that franchise spots are up anywhere from $30 million to $60 million. Whatever the case, Nanzer had a challenge ahead of him last year to get owners on board. "Going into the inaugural season, we were selling an idea," he said. "This year, we're selling a real product that had some success. What we did to get people on board in the first twelve months was really paint the vision of what we wanted to build, and show the team we had built around it and the focus we had around not just producing awesome content, but also creating a business and having the right team in place to actually commercialize the product. I think a lot of our success here is because we invested in not just producing awesome esport matches but we also invested in a world-class business team around the Overwatch League." But with one successful year under its belt, Nanzer says the League has the luxury of being picky with its owners. "In the expansion sales process, people saw the success we had with sponsorship and merchandise and all the things we've done around the League commercially, and I think at least from what we've heard from our owners, that's something they don't see elsewhere in esports. I think that's why we had a lot of success selling expansion teams this year." Another common thread Nanzer touched on that I heard often at Esports BAR was the very sudden interest and knowledge of esports from partners and brands that had never been a part of it before. Nanzer said that, at least for the Overwatch League, he hadn't had any trouble selling the idea of people playing video games competitively to those whose support would help build the League. But far from being surprised, Nanzer said it was just a logical realization to make given the changing times. "Go grab the nearest 10-year-old, and ask them what they do for fun. I promise you, it's 'Play video games' and 'Watch other people play video games'"
"I've been impressed with the level of knowledge that exists out there, especially with non-endemic brands and agencies," Nanzer said. "They've definitely done their research, and I think are much smarter about the space than they were a couple of years ago and are being really smart about how they invest and are asking a lot of the right questions and once they enter partnerships, are really focused on the right things. I think that's evolved a ton just in the last 18 months. "You can ignore [esports] all you want, but walk outside this building. Go grab the nearest 10-year-old, and ask them what they do for fun. I promise you, it's 'Play video games' and 'Watch other people play video games.' And I promise you if you ask that 10-year-old what they want to be when they grow up, they're going to say, 'I want to be a YouTuber,' or 'I want to be a streamer.' They're not going to turn 30 and magically become a baseball fan. People watch what they grow up with, and you have an entire generation of kids right now that grew up playing Minecraft, and now they're playing Fortnite, and then they're going to play something else. "We have an incredibly young playerbase. When I talk to core gaming publications, they forget [Overwatch] is also on console. It's a really broad playerbase, so the idea that we can have fans that are 12, 13, 14-years-old that are growing up and the first jersey for any sports team they buy is an Overwatch League jersey is really cool. The train has left the station, and there are a lot of brands that recognize it and they recognize that now's the time to get in and become a part of what's undeniably going to be part of the sports and media landscape for a long time to come." 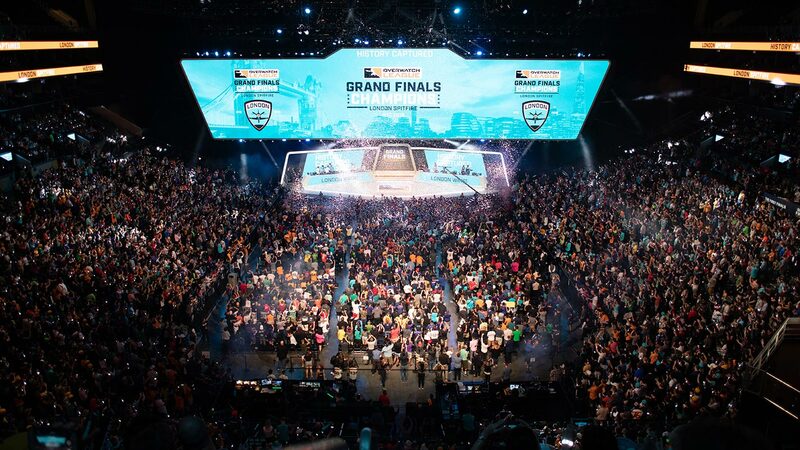 Overwatch League made strides for esports in its first season when it broadcasted its finals live across Disney-owned networks such as Disney XD and ESPN, with its multi-year deal promising coverage again in the coming year. Exciting as this was for esports fans, it did bring out the usual comment section naysayers asking what a video game was doing on a sports network. Nanzer said he didn't really care. "One of the things I thought was really cool about the Grand Finals at Barclays Center and exposing the ESPN audience to that, is that it also exposed them to our fans. The noise in that building and the passion on the fans faces, that comes through. I think it's one of the reasons people love sports, is to see the passion on the fan's face. If you go to a baseball game and you see a little kid get a ball from a player, that's a cool moment. And we have those moments every day on Twitch, because our fans get to go engage with the pro players in a really direct way via social media. "I was just in Bristol, Connecticut with the ESPN team and they're super excited to see where we can grow together because there's definitely an audience that recognizes all the things they love about traditional sports exist in esports." "I don't think [toxicity is] a games problem. I think it's a sort of humanity-slash-internet problem." Along the lines of the "is it a sport?" question and perhaps a bit more interesting for esports enthusiasts is the question of whether esports will enter the Olympics at some point in the future. On this note, Nanzer was as excited as anyone about the prospect, but in no hurry to get there. "I was in Lausanne at the IOC Esports Forum back in July, which was a really cool meeting and a great opportunity to kick off these conversations," he said. "But I'd say it's super early. We're excited to be part of that conversation and we're going to continue to engage, but I think it's way too early to tell. What does it look like? What are the games? What are the formats? I don't think it's something we're going to solve overnight, but it's a cool, exciting development and we're going to continue to be a part of that conversation." Overwatch League's inaugural year was not without its stumbles, and some of the most visible ones were related to community and player toxicity. A few of the more notable indicidents included a player being benched for homophobic remarks during a livestream and a noted League commentator and host receiving death threats for tweeting thanks to men who supported women in their fight for equality on International Women's Day. "I don't think it's a games problem," Nanzer said. "I think it's a sort of humanity-slash-internet problem. Especially today. Everything is so polarizing and the internet can be a very toxic place. But what we've tried to do at Blizzard is ask, 'What are steps we can take to ensure our games are as safe, welcoming, and inclusive for everybody as they can be?' I do think it's incumbent on all of us as gamers to play a role in that. From a lead perspective, we think a lot about making sure we create safe and welcoming and inclusive places. "We're trying to do some things like that to make sure people know that it doesn't matter who you are, this is a place for you to come in and be a part of the Overwatch family. We're focused on that, but we're not done. We haven't solved it. I don't know that we'll ever solve it. But it's something we think a lot about and put a lot of energy and effort behind because it's important. And our view is to just treat normal things like they're normal and then they become normal." Nanzer acknowledges that Overwatch League alone can't solve the problem of people being terrible on the internet, but reiterated its commitment to acting quickly and consistently in responding to issues with its players should they arise. He said the League's own processes are "evolving constantly," and will continue to change to respond should there be future issues with its teams or representatives. "There's a role the League plays and there's a role the teams play around preparing players for the realities of being a professional gamer," he said. "You've got to remember, some of these kids - well, they're not kids, they're adults, but some of them are 18- or 19-years old - are still very young. Many of them have gone from living with their parents to living in a team house in another city, and now they're famous on the internet. That can be a lot for people to handle. So we're taking steps. Multiple times last year we do media training and sexual harassment training and things like that that we administer at the League level, but it's also incumbent on the teams to make sure that they give their players the support infrastructure and the tools they need to be successful. "I think by-and-large our players are basically great people who every now and again we've had some issues, but I think we've dealt with them correctly and swiftly, and I hope sent a message that that behavior is not acceptable. But by and large I'd say across the board we're really happy with our players. They're really great people and we're excited to have a bunch more come to the League next year, tell their stories and hopefully build some more superstars." "I've always been a little bit resistant to female-only tournaments, because there is nothing physically that separates men and women in playing video games. So, does that demean it, to create a separate League?" Intrinsically tied in with the toxicity question is where all the women are in Overwatch League. Only one woman - Kim Se-yeon (known as "Geguri") - played in the League's first season, and the League only just brought on its first woman coach in Kyoung Ey Molly Kim ("Avalla") for the League's new team based in Washington DC. It's a question Nanzer gets asked often, and while he's certain of what he'd like to see, he said he and the League are still struggling to figure out the "how" of what they can do to lead the industry in finding answers. "Obviously yes, we want more women participating in esports across the board," Nanzer said. "Not just playing, and not just on-camera talent, which are the two most obvious public examples people like to point to, but across the board. So we have our core team that works on the Overwatch League at Blizzard is a little over 40% female. It could still be better, but for the industry I think that's significantly above average. "From a player perspective, I think we're in the middle of the transition now. There's a lot of places where gaming culturally is seen as, 'Oh, that's a thing boys do.' I've heard a lot when I talk to young female gamers that it's not expected that they're a gamer, and they experience a lot of extra toxicity because they're female in online environments. I think that's one of the reasons we've taken some of the steps that we have - we want to create safe, inclusive spaces for everybody. "This is a super-complex problem that I don't think Overwatch League is going to solve on its own, but it's something we can take leadership on. So we've been thinking what we can do to create more opportunities, more touch-points, more engagement with not just women but also underrepresented minorities in esports. It's something that you'll start to see us take action on hopefully next year, and it will continue to evolve from there. But it's a focus for us, and it's a huge focus at Blizzard right now. We have a Women's Council that's meeting, we have a bunch of other diversity and inclusion measures that we're doing as a company as part of a larger effort to increase the percentage of women at the company and increase the experience for everybody and make it better, and in places where they're playing online. It's definitely something not just Overwatch, but everyone can do better." Gamesindustry.biz is a media partner to Esports BAR, which is run by Reed Midem, a subsidiary of our parent company Reed Exhibitions.